Wang Fei, a qin scholar, teacher and performer and founder and director of the North American guqin Association (NAGA) and council member of the China guqin Committee.She teaches guqin and guzheng with music department at UC Berkeley. She is a published writer and an international award winner digital artist. Wang Fei is one of the very few people who have truly mastered the qin and who can really perform and promote it worldwide. Her music was been included in an American textbook and CD on geography and music in 2003 to represent Chinese music. Wang Fei began her study of the guqin under Professor Li Xiangting at the Central Conservatory of Music in China in 1985. Master Li Xiangting regards Wang Fei as one of the most promising students he has ever had the opportunity to teach among his more than 500 students around the world. Wang Fei has a mature understanding of guqin music, and has done some fine research into it. In particular, she has mastered many technically and artistically very difficult pieces, such as "Xiao Xiang Shui Yun" ("Clouds over the Xiao and Xiang Rivers"), "You Lan" ("The Solitary Orchid") and "Guangling San"(Guangling Verse). Wang Fei has won several awards in the field of Chinese music, including first place in the Chinese College Student Art Contest in 1989. She has given many performances, concerts and lectures in China, the USA and Japan and has attended major guqin concerts, events and conferences. In recognition of her achievements in cultural exchange between China and other countries, she was made an Honorary Citizen of the City of Baltimore, USA in 1993 and in 1995 she was made a Daughter of the City of Maoka, Japan. Over a hundred television, radio, magazine and newspaper journalists from China, the USA and Japan have interviewed her and written articles about her. Her biographical profile was included in the Chinese version of "World Who's Who" in 1998 and "World Class Chinese Intellectuals in the Musical And Artistic Fields" vol. 5. Not only is Wang Fei an excellent guqin player, she also organizes and promotes guqin-related activities and events. She has often held speeches, lectures, workshops and seminars on the guqin for universities and the general public in China, the USA and Japan and has written articles introducing the guqin to the public. When she was in Beijing, she and her "Three Sisters of Beijing Literature and Art Studio" did much to promote the guqin, such as the organization and support of guqin concerts. After moving to the United States, she started to use new technology to promote the ancient art of the guqin. As the first MA graduate in multimedia studies from China at California State University, Hayward (the first multimedia graduate program in the USA), Wang Fei used her knowledge of multimedia to establish an online guqin community, the North American guqin Association, in 1997. Over a thousand people from different countries around the world have contacted her, now subscribe to the guqin mailing list and have an interest in guqin music; getting information, finding qin friends etc. In 2002 she organized the first ever online guqin gathering and live guqin online concert. Wang Fei is also a well-known author in China. She and her two sisters are known as the Chinese Bronte Sisters. 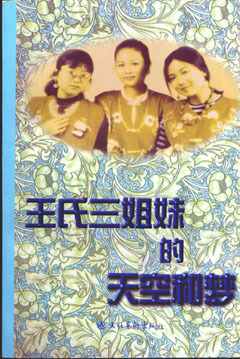 Their book "Three Sisters' Skies and Dreams" was a bestseller in Beijing in 1997. The book "The Story of the Chinese Bronte Sisters" (China City Publishing House, 2002) written by their mother included their stories, articles, photos and music CDs. The first edition sold 30,000 copies in the first month. It was the No. 4 bestseller in the Beijing Book Exposition in January 2002 and has broken all sales records for the China City Publishing House. Wang Fei also plays the guzheng (21 stringed zither) and does Chinese painting. Please enjoy her guqin and Guzheng music samples. Wang Fei is certainly the best Qin performer residing in North America . Her skills and performance stylings are world class and of the highest order. Her stature as an artist alone is certainly enough to justify her presence in the USA . What's more is that she has established the major Internet site for the gu-qin and it has been of great utility to scholars and music lovers in the USA and the world over. She frequently gives lecture demonstrations in all sorts of public and private institutions about the gu-qin and her enthusiasm is certainly contagious. There are few people, even in China , who have truly mastered this instrument and are capable of transmitting a performance tradition which stretches back over several thousand years. Wang Fei, is one of those few. She is truly a master of this instrument, playing it with grace, composure, and refinement, yet creating an intense, energetic impression…To my knowledge, there is no guqin performer of her caliber here. She has studied with the best performers in China and is at the top of her profession. Her continued presence as a performer and teacher of guqin will certainly enhance cultural life in this country. I recently enjoyed a performance by Wang Fei. It is an extremely rare opportunity to be exposed to a gu-qin performance in the United States , since there are only a handful of professional quality performers in the world, and the seldom tour. Wang Fei's playing was moving and beautiful. She is a very fine performer, as good as any that I have heard on record. She is the most expert Qin performer currently residing in North America . Ms. Fei is reputed as the best guqin performer residing in North America . Among specialists of Chinese music, Ms. Fei is viewed as one of the most eminent scholars on the instrument. Her enthusiasm in lecture demonstrations and remarkable knowledge on her subject has also led her to be a sought- after teacher. Wang Fei is currently the only musician in the United States to maintain this tradition and executes it with sensitivity, competence, and dedication. Additionally, knowing most of the Chinese musicians in the United States , Wang Fei is one of the most dedicated to cultural education for both Chinese and American audiences, planting seeds for the growth of future generations of Chinese musicians and audiences in this area. Wang Fei is a great living interpreter of this most beautiful Chinese instrument. I was fortunate to have heard Wang Fei's guqin performance during her visiting performances in Moka city. It was my first-time experience in listening to the guqin live performance. I was deeply moved by the ancient tune. No such music had I ever heard before is leading the listener so deeply into silence. Like many gu-qin masters, Wang Fei is not only a first-level gu-qin player, but also dedicated herself to promoting this ancient instrument. Her ability to speak and write English, using state-of-art multimedia technology to promote this rare instrument on the Internet is a blessing for the gu-qin. We should encourage young blood like her to revitalize the guqin internationally. Wang Fei is herself an excellent performer as well as being committed to promoting literacy about the guqin. She is a recognized guqin performer in China receiving many awards and honors making her a highly respected performer. Wang Fei has chosen to educate audiences outside of China about this rare instrument. She has done so by performing, teaching and using new media to develop ways for people interested in guqin to be in contact with each other through the North American Guqin Association, an online community established in 1997. Not only is Wang Fei a remarkable guqin player, she is also an invaluable supporter of the guqin and American/Chinese relations… Her work as a musician is sensitive, highly professional, and stands out as an excellent level of guqin artistry. She is an outstanding performer and authority on the guqin and her continued presence in the United States would be a true cultural and artistic asset. Wang Fei deserves nothing less than "extraordinary" in describing her talents, experience and character. I am deeply impressed by her Guqin music. Wang Fei was able to use ancient material, modern music theory and life experience, to confirm the highest and most complete spirit of Guqin music. Wang Fei, is one of the world's foremost exponents of the Chinese musical instrument known as the Guqin, and probably the only professional Guqin performer and scholar on the west coast. In addition, she is a talented Guqin educator, promoter and public speaker... I have had the opportunity to judge her superb skill during these workshops. Wang Fei was able to communicate the musicality of her art to a public unfamiliar with its culture. Her continued art activities here will be an invaluable asset to the US society. -- Kim Soon- Jin (Jim), Ph.D.